The Google Keyword Tool is the MAGICAL must use tool which allows you to accurately forecast search volumes for a client. Every client has heard of it and every client wants you to use it to predict their future business success. CLIENT "Can you do a forecast for how many searches are performed for my product / service?" You want to target a custom location like a radius of 40 miles around your business. GKT doesn’t support that. You only want to run Ads during working hours. GKT doesn’t support that. Your business is really niche and according to the GKT no-one ever searches for your unique widgets, but they probably do (or will) and we will find them. Your business has so many searches and GKT will only return about 3% of the actual searches which we will find. Despite our best efforts, the GKT will only return a whole host of loosely associated searches and some will include keywords with locations in Australia and USA, even though your shop is in Bourton-On-The-Water and only wants to target local villages. From having used it countless times we are yet to generate forecast data which is anything like the data I’ll probably be sitting presenting to you a month into the campaign. 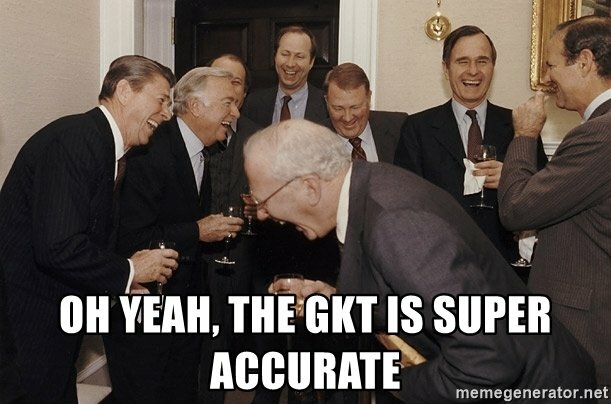 We still use the GKT. I’m not going to lie to you (transparency remember) we do still take notice of the search volumes it gives. But only in a relative sense, i.e. relative volumes to each other. Where the tool actually is useful though is for building keyword lists. It’s great for extracting great long lists of words and using them as a starting point to find core and stem words. Then we build your account the way we want it. So that’s the Google Keyword Tool - a great starting point, but no crystal ball. Google Introduces AdWords Editor 11, But Should You Use It? This week saw the introduction of a completely re-engineered AdWords Editor tool. Google claim it is the biggest update to the application since it was released in 2006. It certainly looks very different, with a completely redesigned interface and a more modern design. Dare we say it; it actually looks a little more like Bing Ads Editor to us. New features allow the opening of multiple windows to view different account elements simultaneously, a new panel for list types, an advanced search function and advance.. If you are using Google Adwords you should be aware that there are different match typesavailable for you use to try and filter, or refine the searches which your ads get shown on. The four being - Broad match Phrase match Exact Match Negative Match Recently Google have introduced the Broad Match modifier, its use is defined by Google below - Broad match modifier allows you to create keywords that have greater reach than phrase match and more control than broad match. Google AdWords PPC Adding modified broad match keywords to your campaign can help you get more clicks and c.. If you are selling branded products and using a Shopping Feed, then an important announcement was made this week. Make sure to get the GTIN's included in your feed or you'll find it suspended. Details below. What is the Shopping GTIN Requirement? Required for Shopping feeds targeting Australia, Brazil, Czech Republic, France, Germany, Italy, Japan, Netherlands, Spain, Switzerland, United Kingdom or United States to submit ‘gtin’ and ‘brand’ for products when ‘brand’ is one of 50 designated brands, and ‘condition’ is ‘new’, and ‘availability’ is either ‘in stock’ or ‘out of stoc..
Shopping Ads work in a different way to the more traditional text Ads displayed on Google. The level of control an Advertiser has is to some extent less exact, requiring instead a sense of SEO skills to prepare product descriptions correctly. Below is an example of how not to, and how to write titles and descriptions for Shopping feeds. Note the keyword rich description and title - adding these to your products will help ensure they are displayed for all relevant searches. ..